Welcome to Brimful Curiosities! This review/giveaway is my contribution to the Book Giveaway Carnival, (November 3rd-8th, 2008). Head over there for all the great book giveaways this week! Toddlers and preschoolers are budding explorers. Really, the whole world is just one large science experiment to them. My preschool age daughter loves to point out the tiny ants crawling on our sidewalk and has even asked me why the leaves on a tree change color in the fall. There are a number of nature books out there but very few geared toward the youngest child. 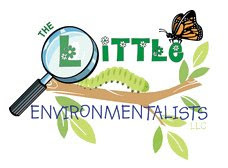 Thankfully, a new company called The Little Environmentalists has recently released a science picture book just for these little naturalists. Nature Discovery in My Backyard by Rebecca Mattano is the first book in a series of books designed to promote learning about nature and environmentally-friendly living at home. The book follows a little girl as she explores her backyard. Simple rhyming verses encourage children to use their senses (sight, hearing, smell, and touch) while investigating nature outdoors. From smelling a rose to listening to a blue jay, the picture book includes both common and unusual animals, plants and nature items that children might discover outside. The book discusses trees, insects, flowers, birds, and wildlife in a way that is easy for children to understand. My daughter especially loved the page spread devoted to birds. We have a bird feeder outside our window, so she loves to watch and identify all the different species as they eat. Additionally, each topic covered includes a nature watch challenge along with an educational inset meant to encourage discussion. For instance, one page asks, "Can you find these insects in your yard?" A special section in the back of the book provides notes and tips for educators and parents to help facilitate more detailed discussions. There are even tips to use in winter, a season fast approaching us here in Wisconsin! I was especially delighted to find that The Little Environmentalists print their books out of 100% post-consumer waste and use environmentally friendly ink. The company is devoted to eco-friendly business practices and production. Rebecca Mattano, the author, is a mother to two young daughters and is also an adjunct professor in the field of Environmental Science. The Little Environmentalists has kindly offered to give away (1) copy of Nature Discovery in My Backyard to a Brimful Curiosities reader. This contest is now closed! Congrats to the winner chosen at random, Faerie Mom! To enter, leave a comment here telling me one type of bird species that can be found outside your home. • For contact purposes, if you are a non-blogger or your email is not accessible in your blogger profile, please leave a valid email address within the comment section. • Contest is open to International readers. • Contest ends on Saturday, November 8, 2008 at 11:59 PM CST. My grandson would love this book!! Thanks for a chance to win !!!! There's a beautiful cardinal that visits my backyard. I love to watch him. What a great book! I'd love to share it with my granddaughter. We have a lot of visitors to our bird feeders. A really big Blue Jay is my favorite to watch. The grandkids love the cardinals. Thanks for the chance to win! I live in a wooded area and love watching the woodpeckers. There are several types....one is the Pileated Woodpecker. Sounds like great book for kids! Thanks! There are lots of seagulls in my general area, but none outside my door. Mostly just squirrels in my apartment complex. Great giveaway - please include me. My son is almost 2, and just loves books!! The more interactive examples I can get the better :) I love to challenge his little mind. Wow - we get lots of birds in our yard, but one of my favorites is a red chested Woodpecker! We had a baby one fly into our chimney, and it took us all day to get the insert out, but we got him out and he flew right outside!! Yeah!!! Update: I've now become an official "follower!" AND . . . I've added your giveaway on my sidebar under the giveaway heading! Thanks for the chance to win, this books looks great. We homeschool and are trying to do more nature study. I'm hthaden at gmail dot com. I would love to give this book to my godson. Thanks. A big bright red robin was in the backyard this morning. We also have blue jays. We have lots of Mockingbird's here! My granddaughter would love this book! Thank you! Thanks for the great giveaway! My son is turning 4 next week and his favorite place to be is outside. We have had many birds visit our birdfeeders/birdbath - but the only one I could name would be the cardinal. The hummingbirds have left, but the blue jays are still here. This is a great giveaway and a book that would be really good for the little ones. Thanks. I see Robin's the most. One bird I never realized we got are Hummingbirds. A few weeks ago, my daughter was putting on her shoes with the door open for school. She yells, there is a hummingbird. I thought no way, I did a huge report on them in 3rd grade & have never seen one in my yard. She was right though, it was so cool. I couldn't find my camera, I was so ticked! We usually see lots of barn swallows and the occasional woodpecker. I'd love to share this with my son. Thanks for the giveaway! My daughter would love this book! Looks cool! HI there! We mostly get sparrows and starlings. That book looks awesome! I didn't follow you but will be adding you to google reader. This sounds like an awesome book! I think what we have here are sparrows. We often see hummingbirds in our yard. Thanks for the giveaway! I forgot to say that we have lots of cardinals in our yard. We have all different kinds of birds but we do see a cardinal once in awhile. Thank you for the wonderful giveaway! I would love to share this with my son. Outside our house you can sometimes find the American Robin. Please enter me if I'm eligible (I'm from Canada),thank you! We have lots of birds in our backyard but the one type that comes to mind first are the woodpeckers. My kids love to watch them. Our family would love this book. Please check out the books we are giving away as well. I put a link to this contest. Living out in CO there is a lot to see so would love this book. Great giveaway! My son (a year old in 10 days) and I watch out on the back balcony for the daddy cardinal in the mornings! Oh and I'm a follower now! I just discovered this whole following thing...it's neat! Woodpeckers can be found in the woods near by home. we have finches in our backyard..and cardinals...and hummingbirds! Thanks for the chance! We have all sorts of Robins. Today while on my walk I saw a hawk sitting in a tree. Beautiful! We see a lot of quail in our backyard. And pigeons. And woodpeckers. Sparrows, starlings, hummingbirds-on occasion. we have had a blue jay come around the last few years and woodpeckers too! Please enter me! I'm hosting a contest this week too :). We've got chickadees, woodpeckers, hummingbirds, orioles, take your pick! We see a lot of woodpeckers and cardinals in our backyard. My niece would love this book! Our favorites are the hummingbirds and woodpeckers that visit our yard. Robins can be seen at our home! We have lots of seagulls! We have robins, starlings, woodpeckers, seagulls and so many more! I'd love a copy of this book for my grandchildren! I just love when I see a blue jay. Oh well...I see sparrows. The range is rather limited unless I go to the bird park else, it is either pigeons, crows or magpie(I think). Pidgeons. And an occasional wren. I see Robins and Cardinals all the time. We have cardinals and blue jays. Mockingbirds abound in my neck of the woods, but that's a good thing since they are the state bird!